‘Artswatch’ is a regular digest that monitors attacks on Palestinian cultural life. Such attacks are a constant and shocking part of a long-term campaign that attempts to undermine Palestinian collective identity and resilience. The pattern of this systemic abuse is overlooked by the mainstream media, yet is testimony to the fact that ‘freedom of expression’ and ‘free cultural exchange’ are privileges that have never been extended to Palestinians by Israel. This fact demands an urgent response from international artists in particular. * We welcome suggestions from readers for this section. FROM NOW ON, UPDATES WILL BE POSTED ON OUR BLOG. Al-Nour Publishing House after an Israeli raid, January 30, 2017. Photo: Bahaa Nasr / WAFA. In 2012. The Globe Theatre invited theatre companies from around the world to come to London with their productions of Shakespeare’s plays. Habima Theatre, based in Tel Aviv, arrived fresh from appearances in the Occupied Territories, to perform The Merchant of Venice. Ashtar Theatre, came from Ramallah with Richard II. Since 2012, the two companies have experienced contrasting fortunes. Habima continues to perform in the occupied territories (see October Artswatch), and in return receives additional funding from the Israeli state. Ashtar has issued an appeal for donations. Habima continues to enjoy membership of the Union of European Theatres. In June, July and November 2016 Artswatch reported on the prosecution of Dareen Tatour for writing a poem, ‘Resist my people, resist them’ and posting it on Youtube. The long drawn out prosecution process seems as much part of the punishment of Tatour as any sentence likely to be imposed by the court. Samidoun, the Palestinian Prisoners’ Support Network, reported on the latest stage of the case. On 26th January, Tatour testified before the Magistrate’s Court in Nazareth. The Free Haifa website reports that her testimony and cross-examination lasted for six hours. She refuted prosecution claims that she sympathises with Islamic Jihad. The court will re-convene on 19th March. In the meantime, Tatour will continue to live under house arrest. She is prohibited from using the Internet, or her smart phone and she can leave her home only for short periods, under supervision. She has refused prosecution attempts to plea bargain. Israel’s war of attrition against Palestinian culture continues. The International Middle East Media Centre (IMEMC) reported on 30th January on the Israeli army’s latest raid on a Palestinian publisher. Troops entered the offices of al-Nour and seized a computer and printers. The offices were ransacked. According to IMEMC, in 2016 Israeli authorities committed a total of 252 violations against the Palestinian media in the occupied territories: raiding media outlets, confiscating equipment, and arresting journalists. The persecution of actor Mohammed Bakri continues. See item below and sign the petition. A blog by ‘John Brown’ in +972 magazine (27th November) reports on recent experiences of the Bedouin blogger Anas Abudaabes. The wild fires that swept through Northern Israel in mid-November provoked some Facebook posters in neighbouring countries into words of celebration. Abudaabes responded satirically, writing that the way to earn the respect of posters like these would obviously be to light more fires. In paranoid and authoritarian states, satire is often a weapon that endangers the satirist. Israel’s legal system chose to take the words of Abudaabes literally, as an incitement to arson. On 25th November, Judge Alon Gabison ruled that there was reasonable suspicion that the post included incitement to harming state security, and that the author of the post should have thought about how others would interpret his words. A judge in a higher court speedily confirmed this ruling. Abudaabes, freed on bail, was placed under house arrest for five days and not allowed to use Facebook for 15 days. The episode suggests that in addition to the multitude of other restrictions it imposes on the right of Palestinians to free expression, the Israeli state has now moved on to proscribing certain kinds of literary genre. If you are a Palestinian, do not be a satirist. In June and July, Artswatch reported on the situation of Dareen Tatour, jailed and then placed under house arrest for poems and other writing that she posted on Facebook. In November, PEN International took up Dareen’s case, featuring her as one of the ‘Imprisoned Writers’, whose freedom it is demanding. On 24th November, Samidoun, the Palestinian Prisoner Solidarity Network, reported that the court that is hearing her case will reconvene on 26th January – and that Dareen’s period of house arrest has been extended accordingly. Dareen faces the possibility of a lengthy prison sentence, as Israel continues to escalate its war against a militant Palestinian presence on social media. Charlotte Silver reports on Electronic Intifada (16th November) that Palestinian groups have joined with black and civil rights activists in the US to protest against the increasing tendency of Facebook – documented in September Artswatch – to block material at the behest of states. ‘Facebook’, a spokeswoman for the Oakland-based Center for Media Justice told the Guardian, is ‘a platform where people are documenting human rights injustices and breaking news’, yet for both black activists and Palestinians, it is a platform which is getting narrower by the month. Confirming the CMJ’s claim, Samidoun, the Palestinian Prisoner Solidarity Network, reports that Facebook has granted 95 percent of Israel’s 158 requests to remove content in the last four months. Alongside this persistent pressure on internet companies, Israel continues to persecute individuals. Palestinian journalist Khalid Maali imprisoned on the basis of his social media posts, was released by court order in mid-November – but only on the condition that he turn over his laptop to Israeli occupation forces and close his Facebook account, as well as paying a fine of $1700. Writing on AlJazeera’s website, Jonathan Cook (10th November) catalogues the long list of interventions made by Israel’s far-right culture minister, Miri Regev, since she took office 18 months ago. Aiming to ‘silence the Palestinian narrative’ Regev has been swift to denounce the broadcasting and performance of poems about the Palestinian experience. At the same time, she is completely explicit that Israeli cultural institutions should see themselves as arms of the Israeli state, supporting its policies: theatre companies which refuse to perform in the occupied territories will find themselves under-funded (see Artswatch October). Cook notes that Regev’s efforts are increasingly successful: ‘people are starting to self-censor’, says the Palestinian rapper Tamer Nafar, ‘the worst kind of censorship’. Yet, Cook concludes, there may be one positive side to Regev’s activities: for decades, those who have wanted to protect Israel from cultural boycott have argued that ‘culture’ exists in a different realm to ‘politics’, and that the border between them should not be crossed. Tenuous at the best of times, under Regev this claim has lost all credibility: in a society where culture has become just another channel for the politics of occupation, the case for boycott is strengthened. The Palestinian poet Ashraf Fayadh, convicted of heresy, remains a prisoner in a Saudi jail (see Artswatch June and Artswatch July). The US publication Publishers Weekly, reports that English-speaking readers can now read his poems in a new collection, ‘Instructions Within’, produced by the independent publishing house, The Operating System. In August, Artswatch reported on the continuing persecution of actor and film-maker Mohammed Bakri, director of ‘Jenin, Jenin’. The Avaaz petition in support of Mohammed can be signed here. 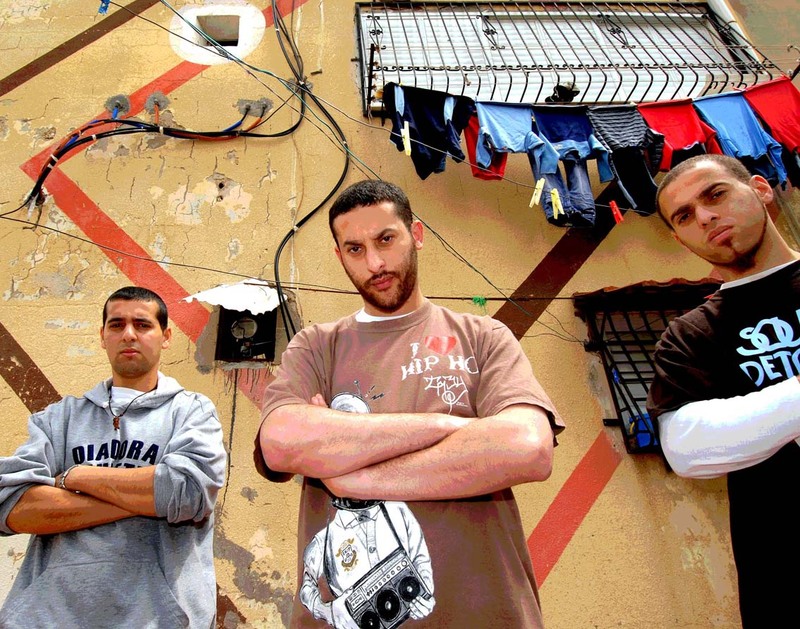 Culture minister urges boycott of rapper Tamer Nafar (centre), a Palestinian citizen of Israel, due to lyrics that ‘undermine the state’. Read more below. Habima, Israel’s National Theatre, has announced that in mid-November it will put on a show in Kiryat Arba. Kiryat Arba is a settlement in territory illegally occupied by Israel, and a place which, in the words of an editorial in Ha’aretz (26th October), ‘has become a symbol of the injustices of the occupation and the settlements’. Ha’aretz describes the decision as ‘a moral stain worthy of condemnation’ and describes Habima as the ‘national puppet theatre of the Israeli state’. Habima’s latest actions confirm the timeliness of the ‘apology video’ produced by Norwegian artists, directed at the collaboration of Norway’s national theatre with Habima, and calling for European theatres to break their links to the Israeli company. (See Artswatch September). The Sheffield Star (16th October) reports that three 14 year old boys, dancers in the Lajee Dance Troupe, have been arrested in a night raid by the Israeli military. The Lajee Centre is located in the Aida refugee camp, a settlement of 6000 people surrounded on two sides by Israel’s separation wall. In October last year, an Israeli army sniper killed 13 year-old Abed al-Rahman Obeidallah in the streets of the camp. This year, attacks by the Israeli army on the Lajee Centre have escalated since August, when Celtic football fans raised over £170,000 divided between the Centre and Medical Aid for Palestinians. On 19th September, soldiers attacked the Lajee Centre with teargas and rubber bullets. The following night they forced open the gate of the centre, threw tear gas grenades inside and closed the gate, trapping children inside, forcing them to inhale toxic teargas. The three boys have been released on bail but will be tried by an Israeli military court. In April this year 414 children under 18 were held in military detention by Israel; year on year, the number is rising. Inna Michaeli, blogging for the magazine +972, writes that ‘After The Last Sky’ has been attacked as antisemitic and as an instance of ‘Israel hounding’ by right-wing press commentators – and also by a leader of the German Left Party, Die Linke. Klaus Lederer, party president in Berlin, quoted in Die Tagesspiegel, 21st October, claims that in referring to ‘apartheid’ and ‘colonialism’, the event has crossed the line between culture and propaganda. The decision of city government institutions to fund the event has been called into question. Michaeli notes that ‘the very existence of Palestinian identity and culture’ is construed as antisemitic. The politics of Miri Regev have taken root in Berlin. Writing in Electronic Intifada, 3rd November, Charlotte Silver reports that the Israeli Antiquities Authority has been outsourcing the management of major archaeological excavations and sites in Jerusalem to Elad, ‘a private organization that settles Jews in the militarily occupied eastern part of the city in violation of international law’. Elad manages the so-called City of David, a settlement containing an archaeological museum catering to tourists. With the backing of the Israeli government, notes the alternative archaeology group Emek Shaveh, Elad is engaged in a double project: attempting to construct an historical narrative that emphasises the identity of Jerusalem as a Jewish city, while erasing artifacts from other cultures and wrecking the Palestinian heritage. At the same time, the requirements of archaeological research and recreation, are put forward as a reason for destroying Palestinian homes. Palestinian rapper performs, is booed on stage following Regev ‘terror’ accusations. Rapper Tamer Nafar, a Palestinian citizen of Israel, performed at the Haifa Community Theatre Festival in October – despite calls from Israel’s Culture Minister to cancel his performance. Regev had opined that ‘public funds should not support activity that undermines the state, its values and symbols in the name of art and freedom of speech’ and accused Nafar of writing lyrics that legitimated terrorism . ‘I won’t let them silence me’, said Nafar, as ‘protestors in the audience booed at him and even gave him the middle finger, lifting up hands wrapped in the Israeli flag’. ‘And to those of you yelling and trying to ruin this,’ he added, ‘I can’t even bring myself to hate you’. Allison Kaplan Sommer, blogging in Ha’aretz (7th October), criticises a new propaganda film posted by Israel’s foreign ministry. 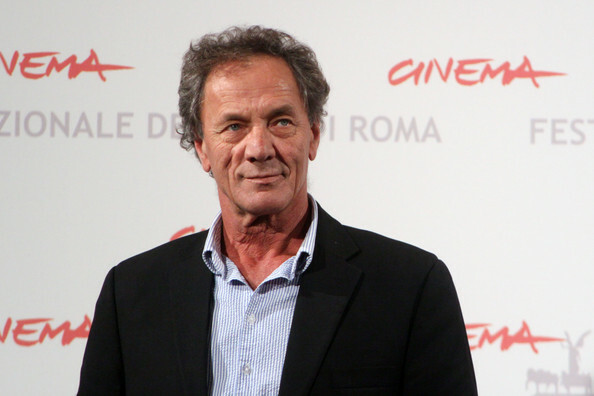 Sommer notes that the film ‘takes liberties’ with history, is insulting, and possibly racist. The film presents Jewish links with the territory of Israel as unshared and unbroken. Other peoples, from Babylonians, to Greeks, to Arabs, to Ottomans are presented as a succession of invaders and interlopers. In the last scene of the film, the final group of aliens arrive: they are Palestinian. ‘That the Israeli government would go out of its way to offend intelligent people with garbage like this is beyond belief’. By the beginning of October, the film had received 150,000 views and had been shared more than 3,000 times. At the 2016 Ophir awards, presented by the Israeli Academy of Film and Television, the question of Palestine was very much alive. Sand Storm, a film made in Arabic by the Jewish Israeli director Elite Zexer, was nominated as Israel’s entry in the Oscar ‘best foreign language film’ category. The Guardian (26th September) reports that a rap performance at the awards sampled lines from Mahmoud Darwish’s famous poem ‘Write it Down, I am an Arab’. This was too much for Israeli culture minister Miri Regev, who walked out of the awards ceremony, and came out with a number of statements. ‘What have we sunk to?’ she asked, ‘In an official award-giving ceremony, to hear a poem by a poet who calls for the destruction of the State of Israel?’ She added that Arab Israeli actors who stood up and ‘raised one hand’ in protest as Darwish’s poem was read were making ‘a Nazi salute’. Regev did not go unchallenged. Sand Storm actors Ruba Blal-Asfour and Lamis Ammar refused to take the stage to accept the award, with Blal-Asfour shouting that she would not stand alongside Regev. And according to The Times of Israel (23rd September) ‘Arab-Israeli’ Member of Knesset Ayman Odeh wrote on Facebook that Regev ‘abused the memory of the Holocaust’ by making the comparison. Ominously, Regev later announced that she would set up a committee to examine the management of the Israeli Academy of Film and Television, as well as funding for films, and would present a report to the Ministry within three months. A book edited by Lena Jayyusi, Jerusalem Interrupted: modernity and cultural transformation (2014), establishes that ‘on the eve of the British Mandate in 1917, Jerusalem Arab society was rooted, diverse, and connected to other cities, towns, and the rural areas of Palestine. A cosmopolitan city, Jerusalem saw a continuous and dynamic infusion of immigrants and travellers, many of whom stayed and made the city theirs. Over the course of the three decades of the Mandate, Arab society in Jerusalem continued to develop a vibrant, networked, and increasingly sophisticated milieu’. Mariam Said, in a piece for Mondoweiss, writes about an exhibition of Middle East and North African art at New York’s Guggenheim Museum, in which this history is obscured. As part of the event, visitors are invited to a mysterious ‘one on one debriefing on Palestinian art before [the founding of the State of Israel] in 1948’. Said notes that there are no Palestinian works from this period in the exhibition, and none is mentioned in the debriefing either. Instead, the debriefer offers his visitors a narrative in which the seizure of Palestinian cultural assets after 1948 is not mentioned, and in which Palestinian art of the pre-1948 period is presented as being sustained by the patronage of Jewish institutions. Said reflects on the reasons behind the debriefing – an event first created in Tel Aviv by the Public Movement group. She argues that it is a response to the increasing international prominence of Palestinian artists, and an attempt to construct a narrative which denies a connection between present work, and an earlier, brutally interrupted, moment of creative cosmopolitanism. Dalia Hutuqa, writing in Al-Jazeera (15th September) suggests that Israel, embarking on its 50th year of occupation of the West Bank and Gaza, no longer tolerates even the most innocuous of Palestinian symbols. Israeli soldiers have raided the toy-making business of Tulkarem-based Hilana Abu Sharifeh, in the Occupied West Bank. They confiscated dolls made in the image of the late Palestinian leader Yasser Arafat, and other dolls wearing the Palestinian national symbol, the keffiyeh. ‘The soldiers ransacked the whole place, seized fabric and damaged some of the products in the process’ said Abu Sharifeh. Around 1700 dolls have been confiscated. Artswatch has previously reported on Israel’s attempts to harass and repress Palestinians who make use of social media to resist the occupation. The house arrest of Daleen Tatour – whose trial will resume in November – is just one example of a strategy of silencing which is now spreading across the web. The Guardian (12th September) reported that ‘the Israeli government and Facebook have agreed to work together to determine how to tackle incitement on the social media network’. Now Electronic Intifada (23rd September) reveals that some ‘editors at two of the most widely read Palestinian online publications have had their Facebook accounts disabled. Administrators for the Facebook pages of Quds, which has more than five million “likes,” and Shehab News Agency, which has more than six million, have found they cannot access their accounts. They have received no explanation from Facebook. The Jewish News Service reports (26th September) that Israel’s Ministry of Foreign Affairs is calling on the National Theatre of Norway to denounce a satirical video produced by Norwegian actor/activists, in which – pretending to speak in the name of the NTN – they offer an apology for its collaboration with Habima, Israel’s national theatre. Assuming the role of a spokesperson for the NTN, an actress also apologizes on behalf of both theatres for being ignorant of a ‘colonial conflict based on ethnic cleansing, racism, occupation and apartheid’. Israel’s Ministry of Foreign Affairs, employing a comparison which is perhaps by now over-used, said that the video was ‘reminiscent of the works of the Reich Minister of Propaganda Joseph Goebbels, or the Nazi filmmaker Leni Riefenstahl’. Demonstrating its customary approach to free speech, the Ministry called on the Norwegian National Theatre to ‘take the necessary measures to have the video removed from every site’. Ylenia Gostoli in Al-Jazeera (23rd August) reports that Israel’s Supreme Court has ruled to permit the transfer of rare archaeological books, and other artefacts ,from a library in occupied East Jerusalem, to new premises in West Jerusalem. An NGO composed of a group of archaeologists and community activists had objected to the move and filed a petition against it last May, arguing that it was against international law to remove cultural property from an occupied territory. The Supreme Court rejected the petition; it ruled that the Israeli Antiquities Authority is responsible for the artefacts and books stored at the museum, and therefore has the right to transfer them. Commenting on the case, Hani Nur-el-Din, Professor of Archaeology at Al-Quds University, pointed out that his institute, located on the outskirts of the city and cut off from it by the separation wall, is not able to conduct excavations in Jerusalem. Maryvelma Smith O’Neil, director of ARCH, the Alliance to Restore Cultural Heritage in Jerusalem, said the court’s decision represents yet another example of the vulnerability of Palestinian heritage in Jerusalem. ‘It is another act of memoricide against the multicultural history of the region,’ Smith O’Neil told Al Jazeera. Israel opens the door to Western performers, but as far as Palestinian artists are concerned, the borders are closed. Middle East Eye (23rd August) reports on two cases where singers and musicians from Gaza have been denied access to other parts of occupied Palestine. Decisions made by the Israeli authorities have prevented the ‘Palestine Sings’ children’s choir from performing at the Palestine Choral Festival, while Gaza’s most popular band, Dawaween, was not given the exit permits that would have allowed it to perform at the Palestine International Festival. The band responded with a protest performance at the Erez border point between Israel and Gaza. The full story is here. The German company HeidelbergCement owns quarries and cement works in the West Bank, extracting Palestinian natural resources, and transferring them to Israel. Meanwhile, back in the city of Heidelberg where the company’s head office is located, the authorities have banned, according to the German press, an exhibition of paintings and drawings entitled “Experiences, Fears and Dreams – Children in Palestine.” The event was supposed to host drawings from two rehabilitation centres in Gaza and Ramallah. Some of the pieces depicted aerial bombing and burning buildings. The city authorities explained that the exhibition was highly political, whereas the city was committed to neutrality. Ha’aretz reports (28th July ) that Israeli Palestinian actress Samar Qupty has written on Facebook about being delayed for two hours by security inspectors at Ben-Gurion Airport and forced to board her flight without her carry-on baggage. Qupty, star of the Israeli film “Junction 48,” arrived at the airport for a flight to Colombia, where the film was being screened at a local film festival. Airport security refused to let her bring her carry-ons aboard. The Palestinian Prisoner Network, Samidoun, reported on 27th July that Mohammed Abu Sakha, circus performer and trainer, had joined a prison hunger strike in support of Bilal Kayed. Kayed is protesting against his imprisonment without trial. Sakha, likewise, is an administrative detainee, whose case has not been taken to court. The Palestinian Prisoner Support and Human Rights Association noted on 25th August, that Sakha’s appeal against administrative detention had been turned down. Associated Press reports on the intention of Israel’s government to ‘prepare a law that aims to rein in content on social media, including Facebook’. Even in advance of such a law, Israel’s critics face persecution. Dareen Tatour, imprisoned last year for posting poems of resistance on Facebook, remains under house arrest, denied access to the internet. Hundreds of writers, organised by PEN America, have protested the measures taken against Tatour, calling on Israel not to conflate artistic expression with terrorism. Kim Jensen has written an update on Dareen’s case, which is still proceeding through the Israeli courts. On the Arabic Literature website Mona Kareem and M Lynx Qualey report that Thursday, July 28 will be a day of creativity for poet Ashraf Fayadh, who remains imprisoned in a Saudi cell. Writers, artists, journalists, and bloggers around the world will be composing tweets, blogs, verse, videos, images, and more in support of Ashraf, who was sentenced to eight years in prison, and 800 lashes, for writing which was claimed by prosecutors to ‘spread atheism.’ ‘Ashraf needs your support’, writes Kareem, ‘so that he won’t be be forgotten and vulnerable in prison’. According to ‘Ha’aretz, Lieberman told Dekel that ‘ to devote a program to Darwish was like praising the literary quality of “Mein Kampf” on the air’. Culture Minister Miri Regev joined in the attack, saying that Army Radio had ‘gone off the rails’. The Ha’aretz coverage can be found here. The account in Mondoweiss, which presents the episode as another sign of Israel’s development into an ‘authoritarian bunker’ can be found here. The music site Slipped Disc reports that an Israeli-Arab student at the Barenboim-Said Academy was refused permission to take his violin as carry-on to an El Al flight when he boarded at Berlin’s Schoenefeld Airport, on 7th July. Hisham Khoury, 25, says he was told he would have to check in both his backpack and his violin. Neither could be brought into the cabin. Amnesty International has condemned the decision by Israeli military authorities to extend by a further 6 months the detention without trial of Mohammad Abu Sakha, who has been imprisoned since December 2015. Sakha performs as a clown and teaches at the Palestinian Circus School in Birzeit, near Ramallah, where he specializes in working with children with learning difficulties. Abu Sakha is one of 750 Palestinians held without charge or trial under administrative detention in Israeli jails, and one of over 7,000 total Palestinian prisoners. Israel’s systematic use of administrative detention violates the Geneva Conventions and other international conventions and is used as a means of isolating effective and emerging Palestinian leaders. Following a meeting with B’nai Brith, James Merlino, the Victorian Minister for Education called for a review of the selection criteria for the drama curriculum playlist. A fuller report can be found here. Dareen Tatour is currently under house arrest in Tel Aviv, as a result of poems she has published on Facebook and on Youtube. She is not alone. The Palestinian Prisoners Club, an organization dealing with prisoners’ rights, estimates that more than 150 arrests took place between October and February 2016 based on Facebook posts expressing opinions on the Palestinian struggle. An excerpt from ‘Munich: a Palestinian story’, a work in progress by Nasri Hajjaj, was screened at the Cannes Film Festival on 16th May, despite a campaign on the part of pro-Israel groups. 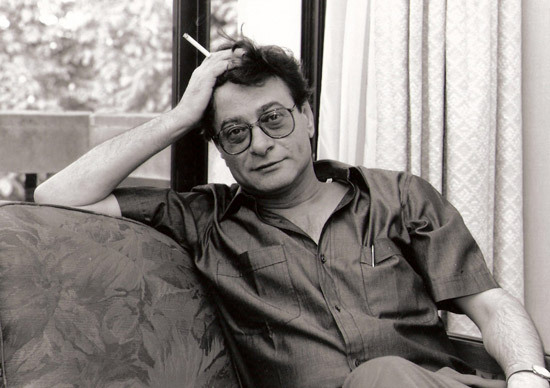 Hajjaj said that critics had made a number of false claims about his film, although they had never seen it. Tom Phillips reports on Eurogamer.net (19TH May) that following protests from Palestinian game developer Rasheed Abueideh it has reclassified his work ‘Liyla and the Shadows of War’ as a game and included it in Apple’s app store game section. ‘Liyla’ centres on a young girl living in Gaza. Initially, Apple had classified it, as ‘news or reference’, and told Abueideh to change his marketing description. Jonathan Cook reported in Al Jazeera (19th May 2016) that Israel is stepping up its efforts to seize control of Palestinian heritage sites and antiquities in the occupied territories in violation of international law. Israel is preparing to turn a dozen important heritage sites in the West Bank into Israeli national parks. At the same time, Israel’s Antiquities Authority has announced plans to transfer important relics and a library of historic books from the Rockefeller museum in occupied East Jerusalem into Israel. The Freedom Theatre is a theatre and cultural centre in Jenin Refugee Camp, occupied Palestine. The theatre reports (30th May) that its incoming General Secretary, Mustafa Sheta, was recently denied exit by Israeli border authorities to attend a visa appointment at the US Embassy in Amman. Third-year acting student Osama Al Azzeh was denied entry by Jordanian border authorities to participate in community theatre performances in refugee camps. Israel, like Jordan, seeks to isolate quarantine the Theatre, within the occupied territories. Rania Khalek reports for Electronic Intifada (3rd June) on the first international ‘Stop BDS’ conference, held in New York at the end of May. Alarmed at the growing support for Palestine among minority ethnic groups, among women and among young people, speakers urged delegates to ‘learn from the left’ in order to create an image for Israel that is attractive to movements for social justice.